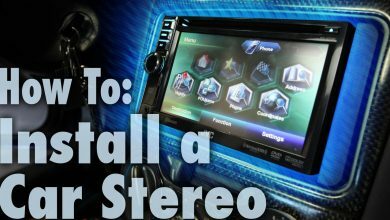 You have just bought a new car subwoofer and now looking for ways to mount it properly in your car. Right? In this article, I have answered the hot questions, “How to Mount a Subwoofer Box in the Trunk”. Car subwoofers always bring power and quality in the bass. 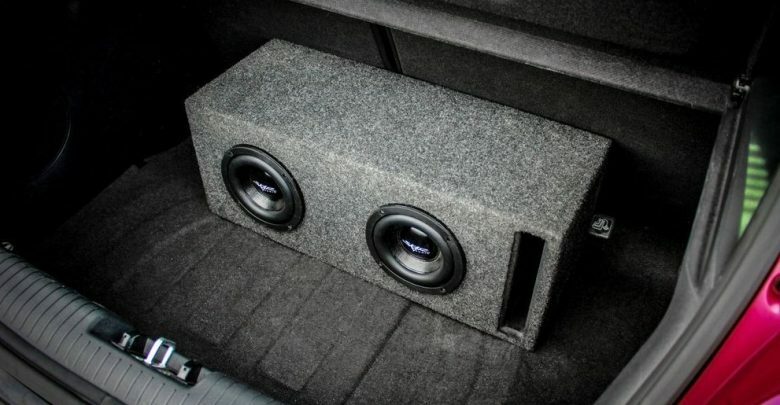 Now coming to the main question, around 5 months I decided to write on ways to mount a subwoofer box in the trunk. I took 5 different subwoofers and with the help of my team, we installed and fixed them properly. To mount a subwoofer properly, you can use different ways. Here I have explained how to mount a subwoofer box in the trunk with the help of using strips and ensuring that subwoofer box does not slide, using bolts to secure it with the floor, making an external cover to fix it properly. Now let me start by asking you, have you made a suitable box for your subwoofer. If not, you can simply buy it from the market. There are boxes that are designed in a way to help produce powerful bass. Fortunately, I have already written an article about subwoofers box designs for deep bass. You can secure a subwoofer box in the trunk by using screws and hooks. You will need to fix hooks on either side of the subwoofer box, make some bracket fix on the top. Get two small screws and fix them on the side of the box, these will go right through the hinge into the speaker box. you don’t want to go deep. Best 6×9 Speakers Reviews 2019. Mount the hinge, right there at the bottom. That way, it will not interfere much with wires. This way your carpet will be secured. The rope will move along the hooks and hinge, it will mount the subwoofer box properly. With this method, you will not need to worry about the box during traveling. You will need to place the subwoofer on the floor of the trunk, you can use stripes and fix them at the sides of the subwoofers and this will help fix the subwoofer box. Stripes will move from the top of the box and you can tie it with the end. I have seen many drivers using this method to properly mount the subwoofer box. Now, this is interesting, for this you will need properly sized wooden plates. Place the wooden structure on the floor of the trunk, secure it with screws. I suggest going with a 1.5-inch screw, these will secure the wooden structure properly. You must check the bottom of the car, you don’t want to drill over the gas tank. Check it and then place the wooden structure on the proper side of the trunk. Once the base is prepared, just mount the subwoofer box properly over it and you are good to go. The subwoofer box will not slide from its place as the wooden structure will not move an inch. Let me share my experience, as I have already said that during the process of writing the article, I mounted 5 different boxes. Why 5? I didn’t want to try one method and then just leave this topic. Now I will share which method I used for my personal car. I have Honda Accord 2017 and I just love it. I recently bought a 10-inch subwoofer box and after a few days, I noticed that it keeps moving in the trunk. That’s not only distracted my driving, so I decided to mount the 10-inch subwoofer box properly in the trunk. Read about if you want more bass out of your subwoofer. I used screws and fix them on the sides of the subwoofer box, fix hinges on the floor. Used a simple rope to fix the box. now I didn’t stop here, as I love off-road driving, so I needed something extra. I fixed hinges on the roof of the trunk, and then with the help of ropes, fix the box. These ropes move across the hinges and then tie with the top of the trunk. Secure the amplifiers wires properly. If you planning to buy an amplifier, you like to read this guide. 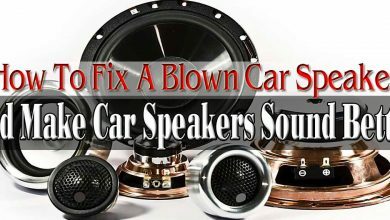 Read here about 6×9 car speakers. You will need following tools or accessories to properly mount the subwoofer box. Bolts to fix the box. Plastic stripes to secure subwoofer box. Never go too big with the subwoofer size, I have seen many fellows who have bought an over-sized subwoofer and now simply can’t use it. Better to access the trunk and then go for the subwoofer. Also if you are a family person and travels with your family, then you may need to reconsider this. A largely sized subwoofer will cover most of the size of the trunk, so if you really need to buy one, go for an 8-inch subwoofer. These are not only good and delivers a powerful bass but also suitable in size for the majority of the cars. Read here if you are confused about buying a subwoofer. Whenever you plan for a long drive and you have a subwoofer box in the trunk, I suggest checking it. It should be properly secured with whatever you like. You want it to be sliding during the entire way. It will not only distract you but it may damage the trunk or subwoofer. I hope, I have answered the main question for today, How to Mount a Subwoofer Box in the Trunk? 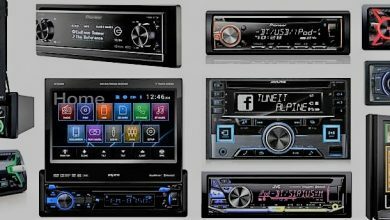 Read this guide on car door speakers. I have explained here, subwoofer size chart along with features and specifications of different car subwoofers. Feel free to contact me if you have any question and confused to mount a subwoofer box in the trunk.